Saratoga Forwarding was founded in Boston in 1948. For over 65 years the Saratoga name has stood for outstanding service and expert logistics management, working with firms conducting international import and/or export business around the world. Saratoga Forwarding employs a staff of solidly experienced transportation and customs brokerage professionals. We pride ourselves in providing clients with staff that know and understand our account’s logistics needs. Our belief and attitude is that we are an extension of the clients own organization. 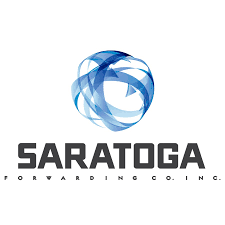 In 1988 Saratoga Forwarding joined with eleven similar firms to form United Shipping, an international network of independently owned and operated Customs Brokers and Freight Forwarders. Twenty-five years later, United Shipping has grown to more than 400 offices in over 84 countries. United Shipping’s size and global reach allows its partners to offer their clients a full range of transportation, customs brokerage, and warehousing services. What truly differentiates the United Shipping network from multi-national firms is that in each territory, an owner-operator is overseeing the client’s needs to ensure the customer is getting the level of service and attention they deserve. Saratoga offers a full range of services such as ocean freight, air freight, customs brokerage, cargo insurance, and customs bonds.